Shows like the Reduced Shakespeare Co and Baz Lurhmanns Romeo & Juliet have done a lot to bring people back to Shakespeare with their lively reimaginings but still people remain wary. Not all actors share a love of the bard either. Some are nervous of performing Shakespeare too and that’s fair enough, it’s not for everybody. 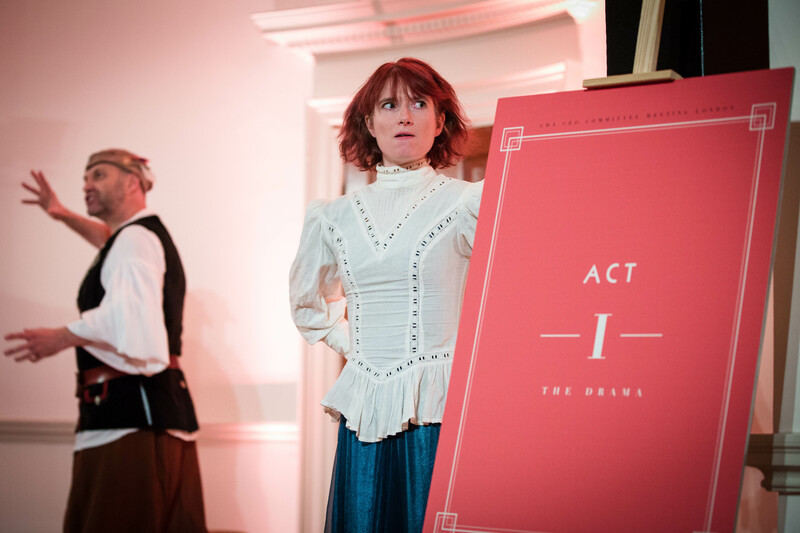 We understand that to perform Shakespeare you have to LOVE it, it’s no good just winging it and hoping for the best: too many audiences have been damaged by bad performances like this over the years! The language may have changed over 400 years but one thing remains the same: people. Human passions and motivations are unchanged by time and are indeed universal, as has been proved by the appeal of good Shakespearean performances all over the world in multitudes of languages. Once you understand that, then the rest is easy, the characters open up like flowers and the story unfolds. Last year we enjoyed several bespoke Shakespeare performances for audiences, introducing them to favourite excerpts including, “As You Like It”, “The taming of the Shrew” and Julius Caesar” as well as performing an abridged version of “A Midsummer Nights Dream” for a private party, in a castle, actually on Midsummers eve! So here’s getting the chance to do more this year and thoroughly enjoying ourselves! I’ll not continue, for as Polonius said in Hamlet, “brevity is the soul of wit” and like Celia in As You Like It, “may your hearts desires be with you”.